CameronMathews.com: How Do You Build a Social Media Calendar? How Do You Build a Social Media Calendar? For today's post, I decided to get back to basics and look at creating a social media calendar, particularly as I have been a little bit lax of late at sharing my articles across my various accounts as well as just managing that presence overall. I have a little automation that I will talk about, but for the most part, a strong social media presence requires active engagement, at least on a weekly basis if not daily. Sitting down in front of the computer to post, though, can be daunting, like sitting down to the blank page when starting a new book. So how do you keep the social media anxiety down and the productivity high? Build yourself a social media calendar. If you have never built a social media calendar, you might be wondering what exactly it is. At its simplest, it's just a way to track all of your content across your various social media and other content outlets. Basically, you want to keep track of each of your social networks, the posts you plan to drop out there, and then the time and date when you want to schedule them. 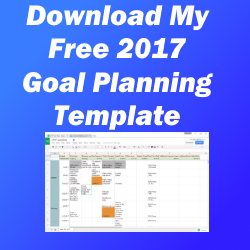 Most templates for social media calendars use Excel or Google Sheets to keep a simple, spreadsheet tracker across each platform. I have given thought to plotting out social posts in Google Calendar, but keeping a spreadsheet has some advantages in that some platforms or tools will allow for bulk uploading (I'm thinking Hootsuite and Buffer here), where a spreadsheet format can be reformatted into an upload template to make those scheduled posts easier. With so many options out there, you can easily overwhelm yourself with 500 different networks and trying to tailor content to each one. Between Facebook, Twitter, Instagram, Pinterest, Tumblr, StumbleUpon, Quora, Medium, YouTube, Google +, and various dead social networks or new ones that may pop up tomorrow, the choices are vast. My initial recommendation is to pick one or two, and stick to that to start. As for me, I feel most comfortable on Twitter, but analyzing the last three months of stats on Google Analytics, I found that I got more referrals from both Facebook and Google+ than Twitter. That surprised me, given the increased amount of effort I spend on Twitter versus the other platforms, but it gives me important insight. I need to work more on Twitter driving traffic, and I can't neglect Facebook and Google+. If you have analytics on your site, you can use those to also determine where you receive the most traffic and make sure that you are tending to that as well as where you feel like you want to be. Given this insight, I need to plan my calendar to have specific curated content for each of these three platforms. For anything else that I might want to share to by default, I can use a little bit of automation. I use IFTTT (If This, Then That) to share some of it, and then manually post anything else I want to share. But the primary focus (for now) has to be on my three primary platforms. Again, there's no shortage of research out there on the ideal time to post to specific social networks. 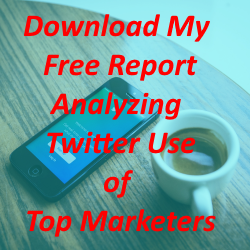 I did some similar research across a bunch of top marketers to figure out how to specifically post effectively on Twitter. Several packages like Buffer or CoSchedule can even let you optimize based on their data. Driving your schedule cuts two ways across your schedule. One is the specific times for you to post, where the other is the frequency with which you post. Then there's the frequency with which you repeat evergreen content or promotional content. As I started working out a schedule for Twitter, I have a general rhythm for new content, linking back to my blog. I'll post it on the day it comes out, then one week, three weeks, one month, three months, and six months out. If the content is particularly evergreen, I may schedule something twelve months out as well or longer. For more time-crunched topics (like posts on New Year's Resolutions or other seasonal items), I may compress this schedule and post several times over a two week period, then let it expire. Chances are that nobody wants my end-of-year advice in July, or discussions on Black Friday marketing in March. The timing of posts, though, has to be spaced enough to allow different types of content in between. I hit Twitter most mornings, so I generally don't worry about scheduled content repeating without a personal tweet in between from me, but I need to do a better job about posting on Facebook pages and groups in between as well as varying the type of content that I post. I don't repeat posts on Facebook, though, so while it might be a stream of links to posts here, it would not be repeated like Twitter would. As I start figuring out what and when I'll be posting, I just plug all of that into my calendar. It should provide a visual schedule that allows me to see an overview of how and when everything posts. Here's where analytics can help as well. Looking at my Twitter stats over the past month, I can tell the type of content that gets the most response. For me, that was live photos from an event I attended, but I also saw some of the links that I posted to my article on SMART goals on Medium got a good bit of attention as well. What I noticed most, though, was that my tweet content has not been particularly varied. At some level, that is OK. I primarily post links to my posts and then reactive commentary around other articles or tweets on current events. Since these seem to be driving responses, there is something there. But what I wonder is whether or not other types of content might not also get high interactions if I were to share it. The good news is that Twitter analytics allow me to monitor the performance of other content over time if I go share it. But what kind of content could I share? Fortunately, I stumbled across this article from Larry Kim on 31 Social Media Content Types to Fill Your Social Media Calendar. It's a great list to fill in ideas when I'm totally stumped. Whether adding some inspirational quotes into the list, sharing some additional content from articles I have read, or creating repurposed content via infographics or lists or templates from articles I have already written, I can experiment with some other content, and a social media calendar with all of its vacant, judging holes on the calendar longing to be filled drives a need to brainstorm different types of content to fill those blanks. In addition to varying content, you need to make sure that the content provides value to your audience. I've added Gary Vaynerchuk's book Jab, Jab, Jab, Right Hook to my reading list, but I already know the premise: provide value over and over again before asking for anything in return. If you do that regularly, you can start to get into a rhythm that makes sense across your calendar, and you'll even begin to see it and evaluate whether your rhythm is working or not. What you don't want to do is become a robot. Don't use automated services to retweet or curate content that seems false. For starters, it lowers your authenticity with your followers. The more you seem like a robot, the less someone is likely to engage with you in a meaningful, human way. But it also causes you to lose control of your content. If you automatically retweet content within a particular topic, for instance, what is to prevent your service from retweeting offensive or objectionable comment before you can catch it. But you can't sit on five social media sites all day long and stare at your phone every moment in between. Instead, find useful content that you want to share and schedule it. You have to consume in order to share. That means reading a little bit in your topic area regularly, though you should be doing that as it is anyway, to help yourself grow. Scheduling allows you to fill a calendar, but without losing curative control over what you are sharing. I personally use a combination of HootSuite and Buffer to schedule content in advance, but there are several services that allow you to do the same. Facebook even lets you schedule it directly within their own app. Find what works for you and allows you to pre-plan content then schedule it out. Or for a more organic and low-tech option, simply set reminders for yourself and work through your social media calendar that way. I'm a believe in this one from goal-setting to other actions, and social media is not really an exception. How many times have you cracked open your phone, ready to craft the perfect post, only to either sit scratching your head on what to post or get lost for twenty minutes reading the posts of others? For me, that happens a ton. But if you spend quality time planning out what you are going to post, you're doing that without actually being in the app, thus resisting the temptation to consume before creating. You can plan and create in your own vacuum, using data to drive what you are doing instead of indecision. You also don't have the self-imposed immediacy of needing to post something to craft your content. I've found this technique to increase my speed of writing, when I dedicate time to sketching out the next chapter of a book before sitting down to write it. But for social media, it can totally change the game. Not only am I sketching out the content, but I am writing it and planning it completely, leaving nothing except to actually post or schedule it. It's much more akin to meal-prepping, something I have recently started doing, where all the heavy lifting of chopping vegetables and measuring spices happens in one bulk session, leaving me only to drop something on the grill or dump a bag in the crockpot on the day I want to eat it. Batching work helps to put it in a time box and keep a level of flow in a planning session that can increase your own brainstorming abilities. You may have to split some initial planning activities from searching for images or videos or consuming potentially shareable content, but you can batch each of these activities into a time window of their own and get into a regular rhythm. 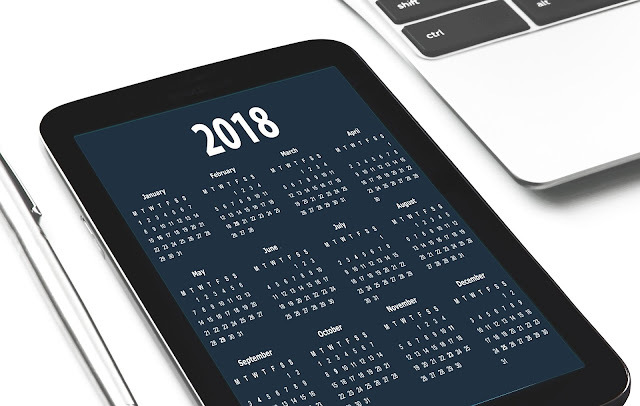 Social media calendars help provide structure and schedule around content that you can pre-plan, and will ease the burden of attempting to manage multiple platforms and content. They cannot, however, help you anticipate every possible news cycle or buzzworthy topic. You still need to maintain a heavy level of engagement with media to prevent potential PR disasters from too much automation. From a negative perspective, you need to be ready to pull the plug on any automated tweets if they could be perceived as insensitive to current events. In the wake of various tragedies of the past several years, various outlets have accidentally posted content that gave them somewhat of a black eye at being insensitive to tragedy. In most cases, this resulted in brands having to apologize and explain scheduling and automation to audiences who do not, for the most part, utilize that automation and only saw it as if someone had typed that content in real-time. If you're successful in disguising your automation as authentic, this is even more dangerous as your audience may be unwilling to believe that you pre-scheduled the content. But on the flip side, you also need to be able to respond to trends that are relevant and timely and capitalize on the conversation that you can engage in around them. What that absolutely does not mean is to start hijacking hashtags or spamming content around current events. I saw one guy a few months ago who would just tweet links to his book with ten hashtags that were trending (but totally unrelated to his book content). All that served to do was to irritate anyone engaging in conversations around those particular topics. Many even openly criticized him on Twitter for this practice. But what it does mean is to keep an eye out for topics that you need to respond to or engage in that are relevant to your own content. The more you give to these topics in true, valuable content, the more you can engage with potential followers who are already interested in what you have to say. I've got a ton of work to do in this regard, and I plan to get my calendar cranking this week. It seems like a little extra overhead, but it does provide the structure and visual necessary to help keep myself on track. I hope you can get your schedule ready to drive you as well. Let me know if you want to bounce ideas off around how best to schedule your own content.